Buffalo chicken is tempting, but "kickers" provide fewer calories. 1 How Many Calories in KFC Hot Wings? The menu at Domino's Pizza also includes sandwiches, pasta bowls, breadsticks and spicy buffalo wings. 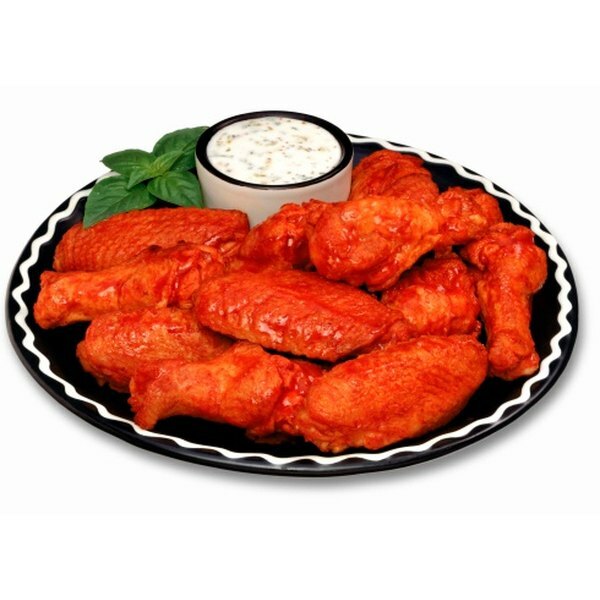 Plain buffalo wings are available, but consider caloric content before making a decision. An order of Domino's buffalo wings contains between 1,020 and 1,100 calories, according to the Domino's Pizza website. A regular order includes 10 pieces. With a two-piece serving size, calories are reduced to between 204 and 220 calories. One serving of Domino's buffalo wings -- two pieces -- contains between 10.2 percent and 11 percent of your daily value of calories, according to the Mayo Clinic. 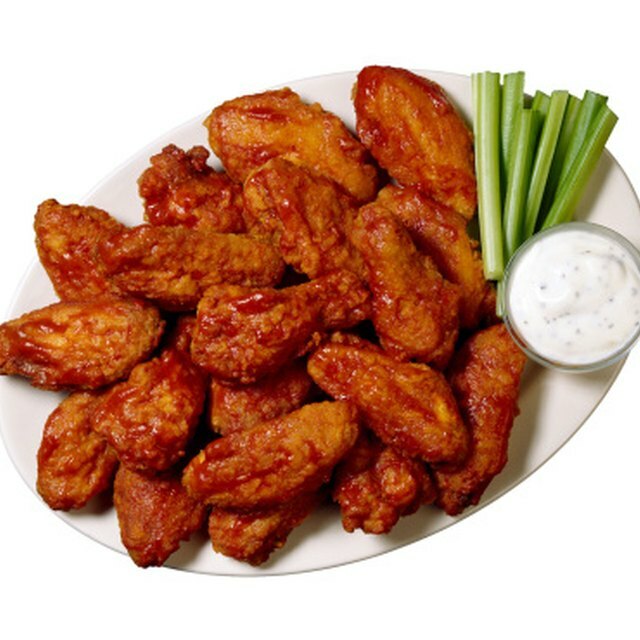 Domino's wing-dipping sauces contain between 25 and 310 calories, so ordering plain buffalo wings does provide fewer calories. However, another lower-calorie option is ordering the smaller buffalo chicken “kickers” instead. These items use all white-meat chicken and have half the calories of regular Domino's wings. Mayo Clinic: What Does Percent Daily Value Mean on Food Labels?